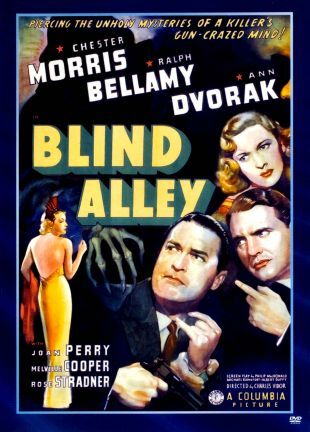 Blind Alley, directed by Charles Vidor is a chilling psychological drama in the film-noir tradition reminiscent of the fine melodrama The Desperate Hours. 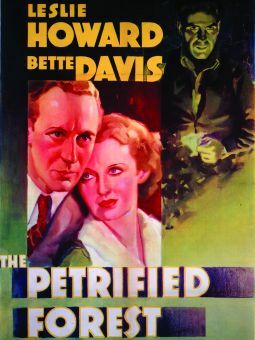 Hal Wilson (Chester Morris) is an escaped killer who hides out in the home of noted psychologist Dr. Shelby (Ralph Bellamy). 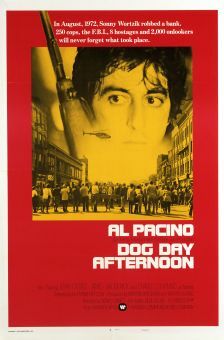 While Wilson's gang holds Shelby's family and servants hostage, the pipe-smoking mental doctor calmly tries to discover the reasons for Wilson's murderous proclivities. 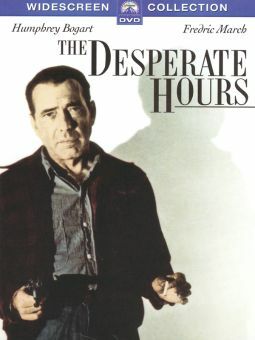 As gun moll Mary (Ann Dvorak) covers Shelby, Wilson willingly allows the doctor to psychoanalyze him, using hypnosis to trace the killer's childhood. 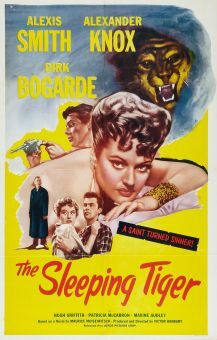 Blind Alley works as a "film noir" complete with surrealistic dream sequences. 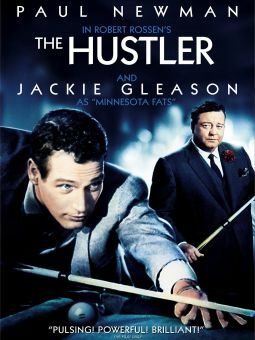 A taut story and moody cinematography by Lucien Ballard -- with sharp direction from Vidor, and superlative acting by Morris and Bellamy -- earn this film noir entry a top spot in the genre. 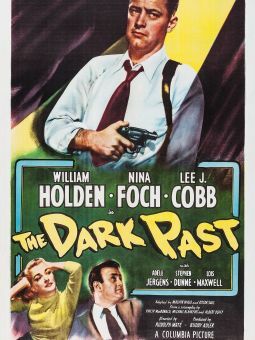 The film was remade scene-for-scene in 1949 as The Dark Past, with William Holden as the killer and Lee J. Cobb as the unflappable head shrinker.